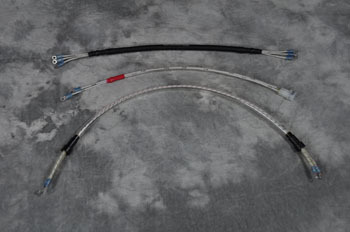 RAPCO FAA PMA approved propeller de-ice wire harnesses offer outstanding service life. Operating in extreme cold with constant vibration and flexing under high centrifugal forces is a very harsh environment for de-ice leads. RAPCO uses stronger, more flexible wire on critical leads along with terminal installation procedures that help to extend there life. Offering improved products at a lower cost is what RAPCO strives for.